Leslie Richards-Yellen is Hogan & Lovells’ Director of Inclusion – Americas. She previously served as Hinshaw & Culbertson’s Chief Diversity and Inclusion Officer, in addition to her public finance practice. 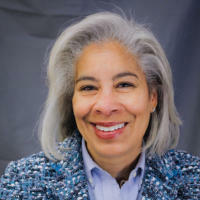 Ms. Richards-Yellen has over 30 years of experience as in-house counsel and in private practice. Previously, Ms. Richards-Yellen was Associate General Counsel with The Vanguard Group, where she provided legal services and analysis for the Fixed Income Group. Ms. Richards-Yellen was a member of the National Association of Bond Lawyers’ Steering Committee. In 2014, she was appointed to the Illinois Supreme Court Commission on Professionalism (ISCCP) and serves as the Chair of the ISCCP’s Diversity Committee. She is on the Board of the Chicago Committee on Minorities in Large Law Firms and sits on the Boards of NAWL and the Delta Dental of Illinois Foundation, as well as the Advisory Board of the Institute for Inclusion in the Legal Profession.